In addition to the other materials that Colonel Baker provided, there are these pages from the January, 1962 edition of "US Lady," which I have discovered was a "...service family journal for service wives, families and women in service." 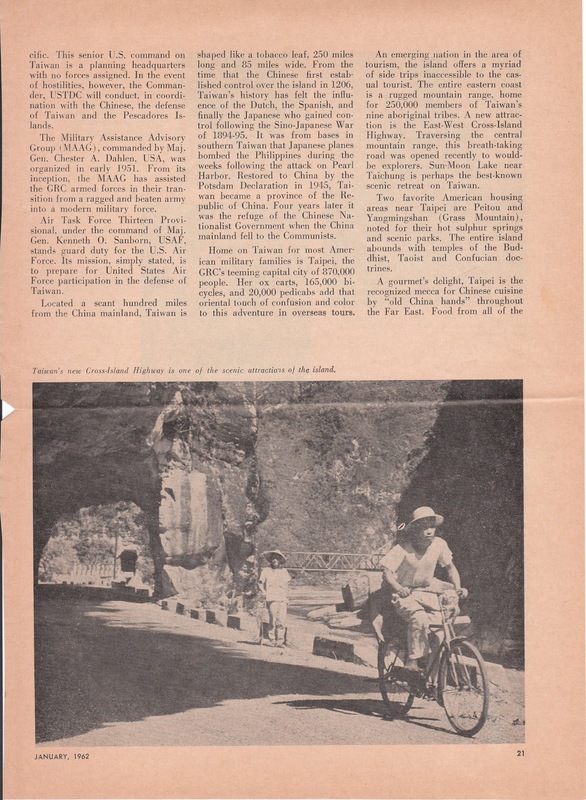 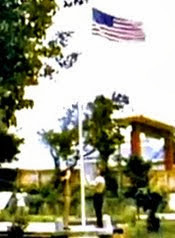 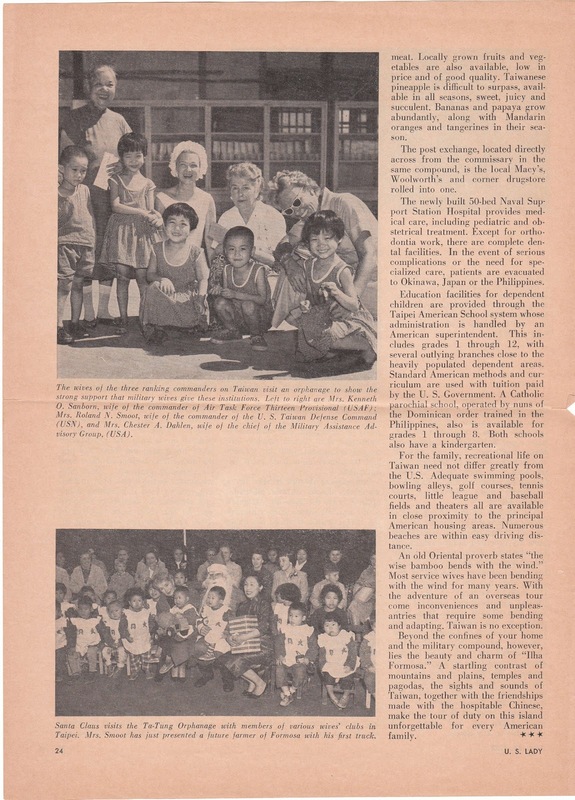 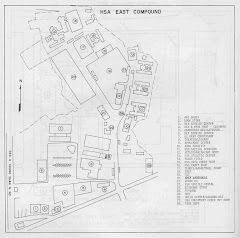 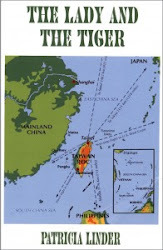 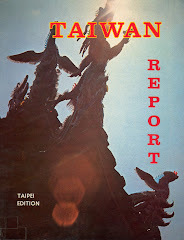 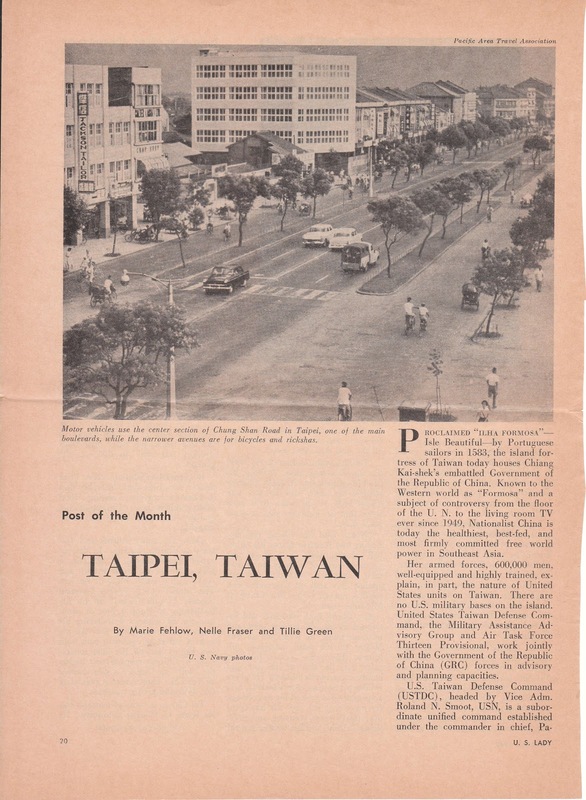 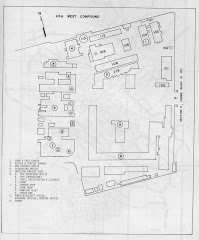 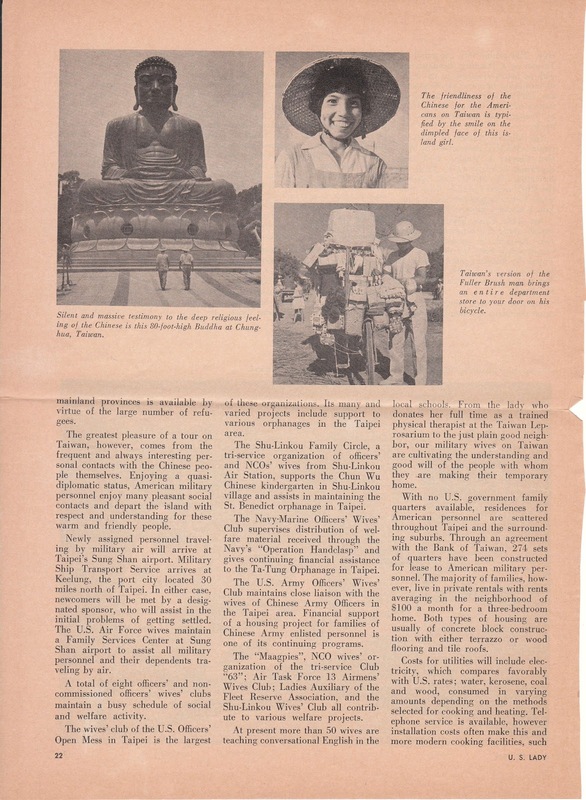 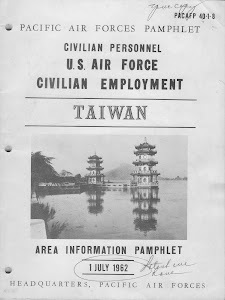 This article gives an overview of Taiwan and describes life for American military families during the early 1960s. 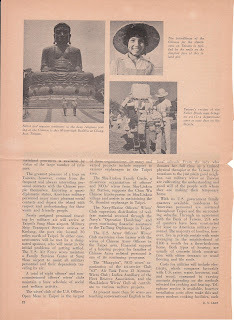 It's not as detailed an account as the MAAG newcomers booklet, but still a very interesting article. 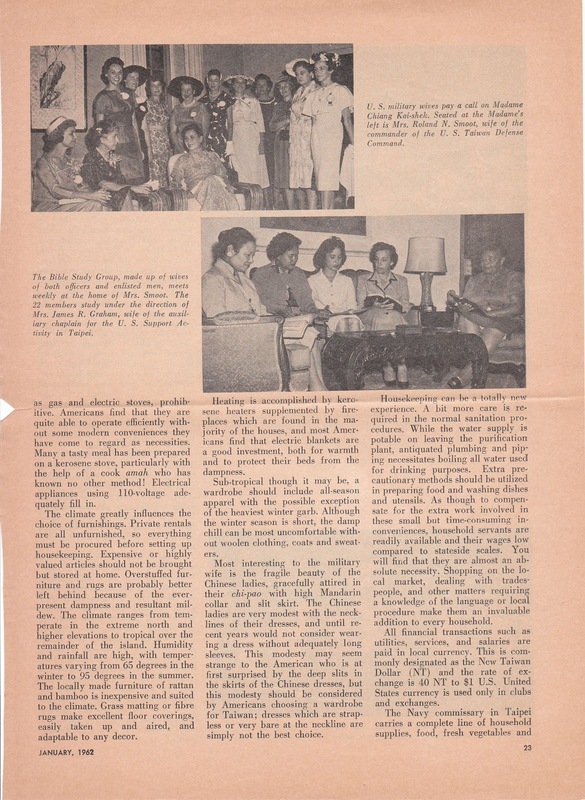 I was fascinated by the ladies' bible study that was regularly held at the home of Mrs. Smoot, the wife of Vice Admiral Roland Smoot, Commander of the U.S. Taiwan Defense Command during 1960-1962. 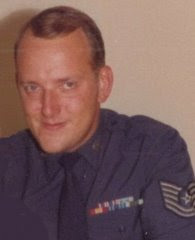 The study group consisted of both officer and enlisted wives. 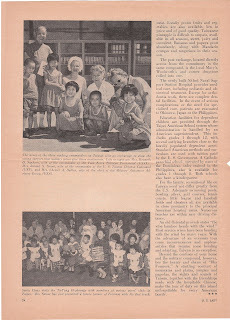 A good article, Don. 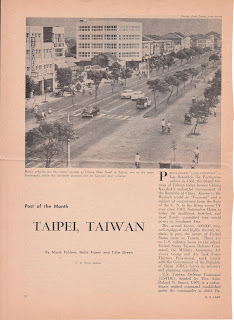 While it was written a couple of years after I left, it pretty well describes the Taiwan I remember.